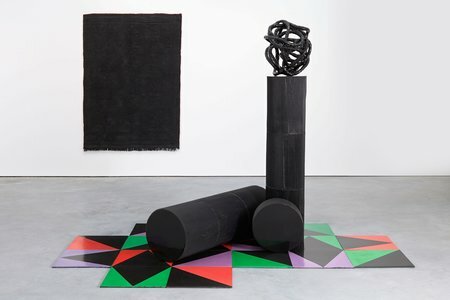 The West Dean Tapestry Studio has a long established history of working with artists, designers and weavers to translate an artwork into a hand woven tapestry. 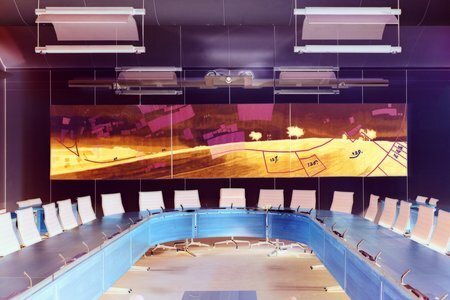 The work produced is usually on a grand scale; a tapestry is often considerably larger than the artwork being translated, sometimes as much as 15 times. A less visible but equally important part of the Studio is its bespoke dye rooms, which allow the weavers to create a bespoke palette of colours and tones for each project. 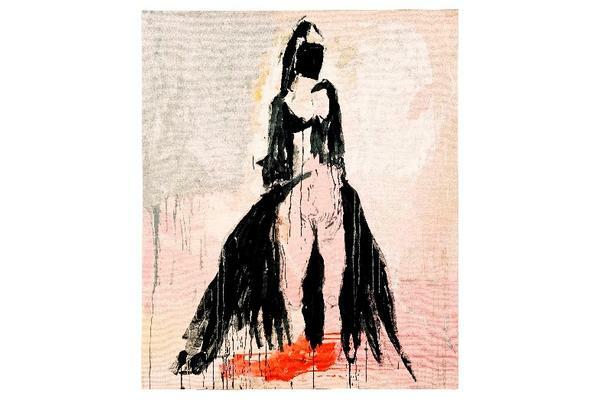 For any tapestry the process begins with a discussion between the creator of the artwork and the weavers. These conversations form the basis of a 'visual language' developed by the weaving team that continues and grows throughout the project. The artwork is deconstructed and the most important colours are identified and matched using the studio's recipe books as a reference. Once a recipe is established the yarn is dyed, woven into a small sample and discussed with the artist to ensure that the colour is precise, and adjusted if necessary. It is essential to have all the yarns dyed at the outset in order for the weavers to begin to work out the different combinations of threads that will make up the palette of mixes for weaving. 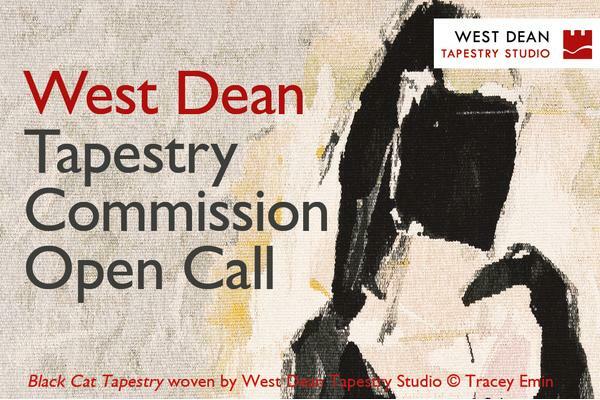 The approach to the creation of all the tapestries woven at West Dean is initially the same. Where aspects can differ is when the artist or creator of the artwork to be translated is also the weaver of the tapestry. This can have a number of advantages as decisions about colour can happen much more quickly and spontaneously. 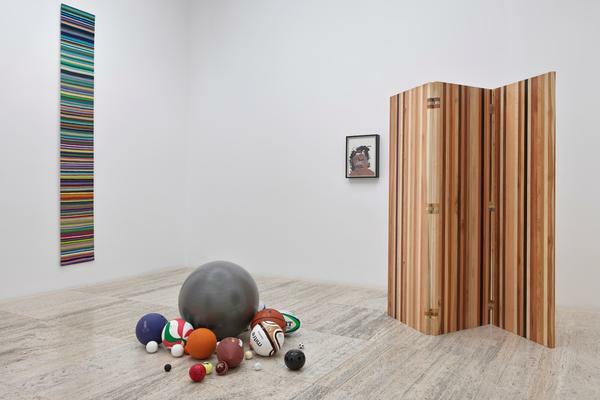 Once the proposal for Nowhere (commissioned by Museums Sheffield for the 2009 exhibition Can Art Save Us?) was accepted I was allowed complete control in terms of decisions on warp setting, yarns and colour; the original photograph was black and white so the colours used originated from the studio's dyebooks instead of referring to a coloured design. To achieve subtle changes within the weaving, a palette of colours and tones that gradate from dark to light is required. There can be anything from four to fourteen threads working together in one mix depending on the warp setting. This gives the weaver great flexibility to adjust colours and tones, sometimes just by one thread, to achieve the desired effect. The number of colours dyed for any one project can range from thirty to two hundred depending on the image being woven. When dealing with a small budget the amount of dyeing can be a consideration though it is arguably difficult to reduce the time available for dyeing and still achieve the best translation. Usually an estimated amount of time is set aside for dyeing, the bulk of which is used at the beginning and the remainder spread out over the duration of the project. The challenge for the dyer is to extract the colours from the design or original artwork and translate them into yarn. Weavers have considerable knowledge and experience in the dyeing of wool (and sometimes we dye silk too). The dye recipes are repeatable being calculated on the weight of wool and the depth of shade required. The wool goes into the dye bath along with levelling and wetting agents. 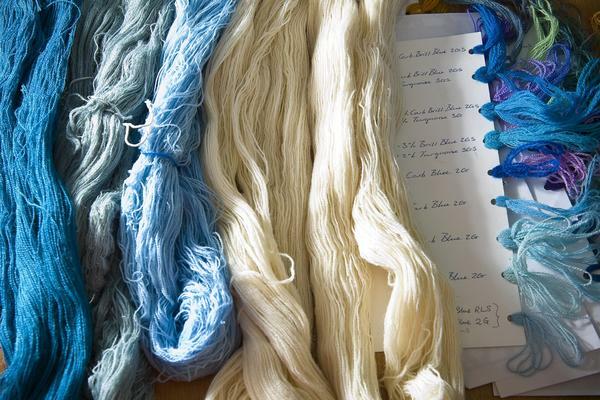 The dye solution is boiled for an hour and the yarn is then carefully rinsed, spun and dried. It is then ready to be wound onto a cone for use. 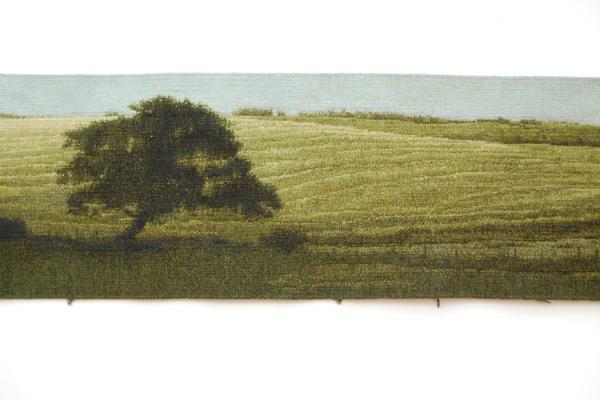 The tapestries created at West Dean are woven in wool with a cotton warp. 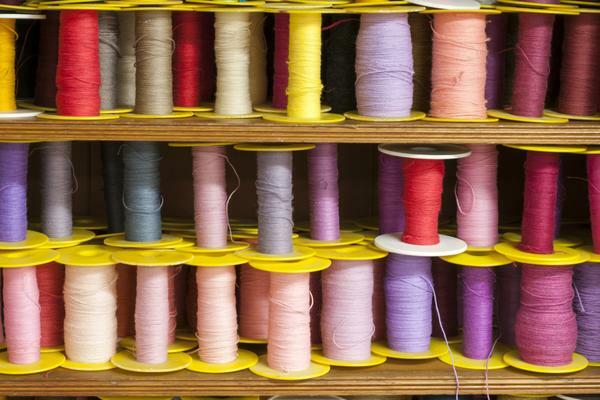 Other threads such as cotton, linen, silk, and sometimes metallic threads, can also be included in the weft. For some years the Studio used a worsted wool from specialists Joseph Horsfall & Sons, Yorkshire; initially a 2/6's, a 2/9½ and a 2/12's. The count of a yarn affects the take up of dye, something that could be exploited by the weavers to create subtle shifts in the surface finish, particularly in large areas of flat colour. A project for the Bloomsbury Group's country home, Charleston Farmhouse at Lewes - to create a version of a kelim designed by Duncan Grant - used a much thicker, softer yarn which took the colour much more readily, meant we had to reduce the dye recipes considerably to get a good match. We do sometimes have to find new sources of yarn when a supplier ceases trading. The Studio has managed to maintain a relative consistency in the yarns it uses only seeking out new yarns when a specific project demands it. 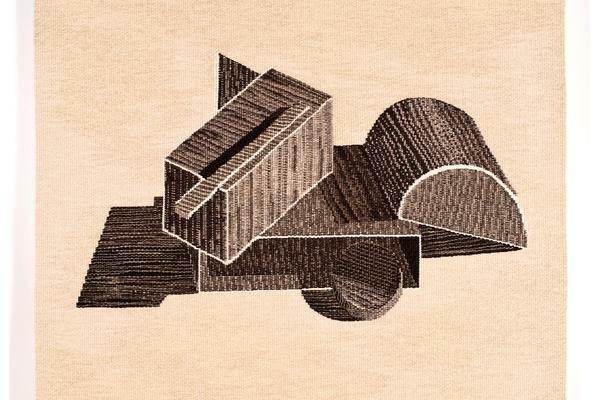 Other suppliers include Bulmer and Lumb, Humphries and Texere. The team of weavers will take it in turns to keep the dyed yarns stocked up and create new colours when required. It is important, therefore, that we carefully document every recipe. As a result, the Studio has a considerable archive of colour recipes. Some of which date back to a series of tapestries produced in 1976, in collaboration with Henry Moore, when the Studio was established. As the colours for each tapestry are bespoke it is common for projects to have their own unique dye books and these provide a valuable archive for reference for the weavers, and students studying Tapestry and Textile Art on the Visual Arts MA Programme. 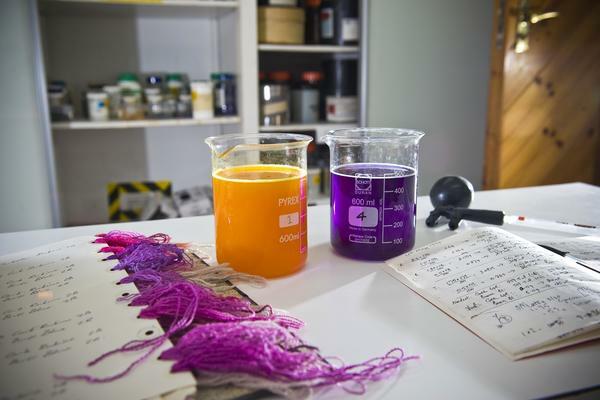 The dye rooms have a limited capacity in terms of how much yarn can be dyed at any one time. The weavers can dye as little as 50 grams of yarn or as much as 1.6 kilos which is helpful in keeping wastage to a minimum. Historically, the dyeing of yarns would not have been the job of the weaver. Nowadays it is not normally economic to hire a dyer unless the amount of dyeing is considerable, for example, during the creation of the series of tapestries The Hunt of the Unicorn for Historic Scotland at Stirling Castle; new interpretations of originals on display in the Cloisters Museum at the Metropolitan Museum of Art in New York that used a palette between 170 - 200 colours for each tapestry. The 14 year project was completed in 2015. 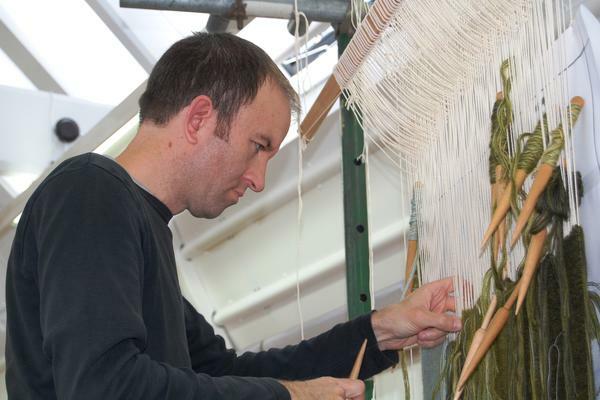 Philip Sanderson is Master Weaver and Designer at West Dean Tapestry Studio and a tutor on the full time Visual Arts (Tapestry and Textile Art) Programme. 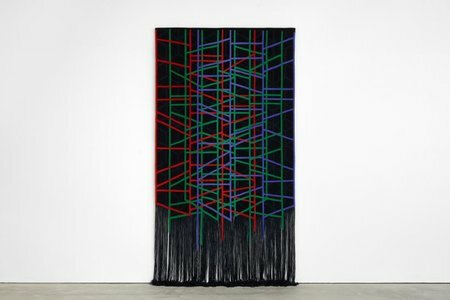 After a Foundation at Cleveland College of Art Philip studied Tapestry Weaving as part of the Constructed Textiles BA (Hons) at Middlesex University. He went on to study MA in Tapestry Weaving at the Royal College of Art. 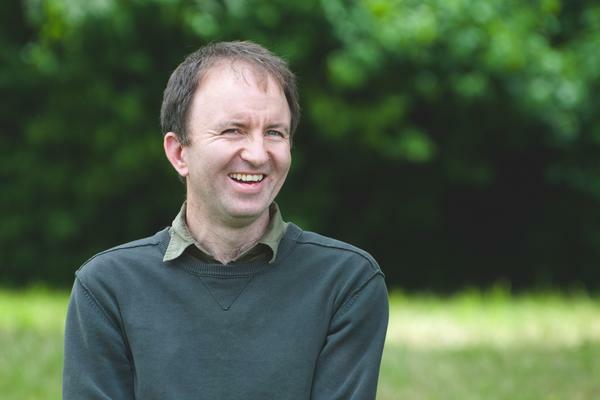 Philip was shortlisted for the John Ruskin Prize; Recording Britain Now (2014).